It was a good weekend for The Padilla 7 🙂 It has been a busy week at work with so many things in the works that can have such lasting change (wow what suspense), and with all of them good, it is so exciting to come in to work everyday and see things moving forward little by little. So this weekend was good for us as a family to move forward with our relationships as well. 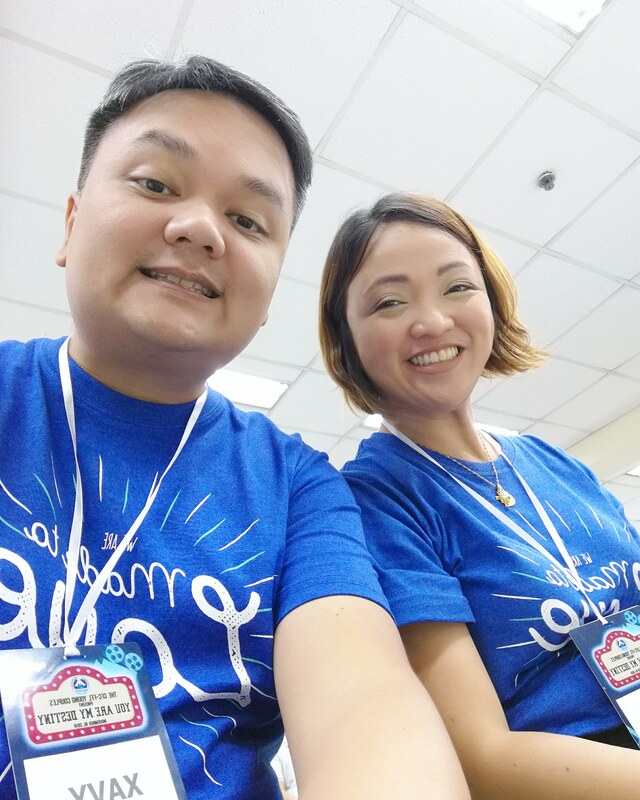 On Saturday Des and I attended the CFC FFL Young Couples Summit in Makati. The Young Couples is made up of young (in age) couples, with young children and also still quite young as a married couple. I am above the qualifying age (39 and below) but I still do fit in the other two categories. So it was good to be with other young couples learning from our older brothers and sisters in CFC FFL. Wisdom is good, and real life experiences in raising a family is even better. And seeing others who are going through the same issues as yourself is always a good breather. Phew, we aren’t alone! Let’s journey together! Our eldest 3 kids also had the chance to attend their CFC Kids for Family and Life camp at the same time as the Summit. FINALLY! They do go to all the Conferences, but it has been a bit of a challenge trying to get the local area to invite us to the events here in Antipolo. So it was good of them to attend. Hopefully they can be more than CFC KFL Conference members. We want them to be more involved, just like us. Des visited her former boss after the event, and the kids and I were able to bond even more over dinner while waiting for her. Japanese food is always so good. Can’t get enough of it. And to cap the family weekend, we spent the Sunday with the Padillas in ALPADI. Sausages, steak, raclette, ginger ale and so much chocolates and popsicles. Oh boy, I better be more picky with my food this week. Thank God for family. And the family that is the community. We are strengthened and refreshed by both to be able to do our mission everyday through our work, our studies and our lives.